When I first started to go into Lush I wasn’t at all familiar with any of the products, I didn’t know anything about their ingredients or their uses. I spent a considerable amount of time examining, asking questions and sniffing all of the products that were on offer but was so overwhelmed that I just ended up jumping in head first. 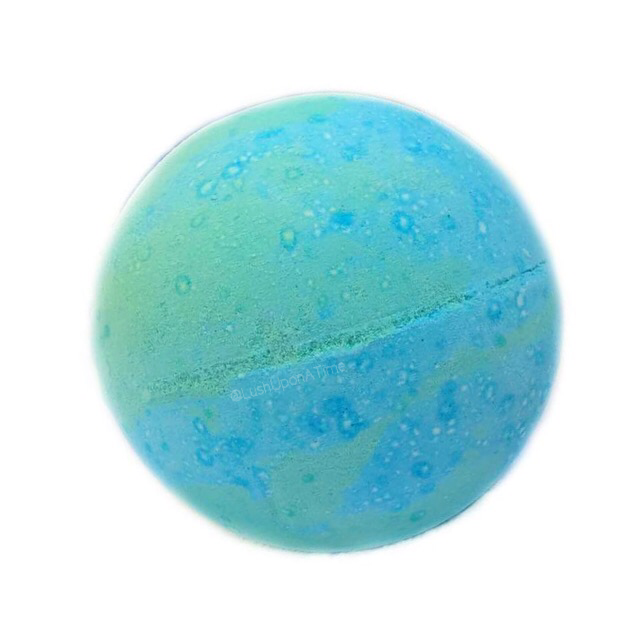 The Big Blue bath bomb had always caught my eye in the shop, the visible seaweed within it however always made me change my mind at the very last minute, maybe next time I’d pick it up. I would always choose another one over it, always. Quite soon into my Lush journey I started to participate in online Lush forums etc, it was there that I heard about the Big Blue bath bomb, apparently it is great for muscle aches, muscle aches are the story of my life so after that much appreciated advice, I decided to finally pick one up, seaweed and all. I am one of those women who are ridiculously squeamish, in the sea I am always the first to scream when something touches my leg. Putting a bath bomb with seaweed in my bath tub was therefore going to be a challenge. As soon as I put the Big Blue bath bomb into the water its soothing scent filled my bathroom. Curiosity always gets the better of me and I always take the bath bomb out of the water mid-fizz just to have a look. Upon first use of the Big Blue bath bomb I instantly regretted taking it out of the water. All I could feel was solid, scratchy seaweed, my inner squirm erupted from me and I squealed so loud that my boyfriend (now husband) came running into the bathroom to see if I was okay. The question that everyone asks is, what happens to the seaweed? At the end of the bath I tried to be clever and catch all of the seaweed the same way as I do the flower petals in the Ylang Song or Rose Bombshell bath bomb, it didn’t work. There was however no blockage problems when it came to pulling the plug. In spite of this I would still advise people thinking of using Big Blue on a continuous basis to try to space the baths out. Failing that, there is in fact an easy way to solve the danger of a potential seaweed and plug hole problem. Some people place the bath bomb in a stocking before putting it in the bath. 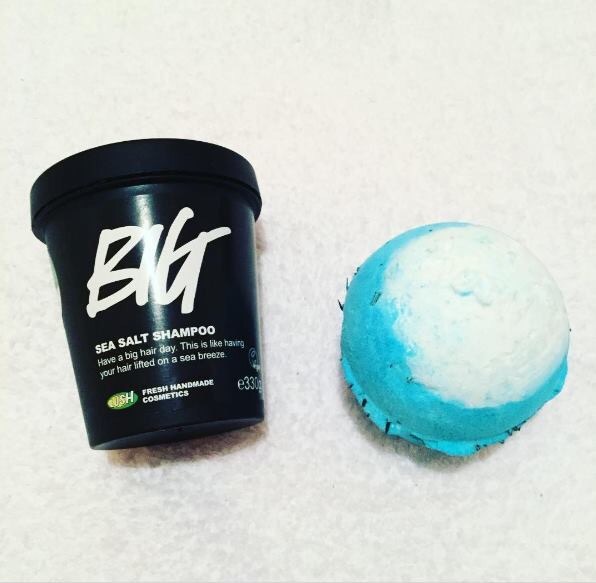 This way you still get the benefit of the bath bombs ingredients while also stopping the risk of loose seaweed going down your plug hole. 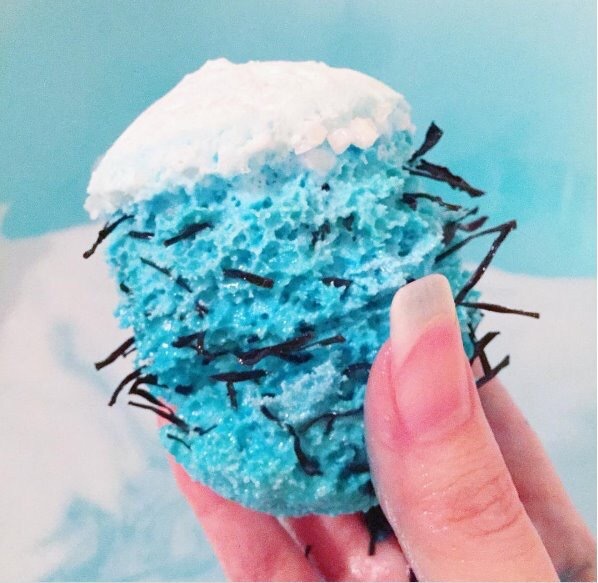 In regards to Big Blue helping with aching muscles I am sad to say that it is not as good as the Geo Phyzz bath bomb. It is however a good substitute to the very rare Geo Phyzz bath bomb. Big Blue is well worth a try, I do however always now use it in a stocking, just in case.